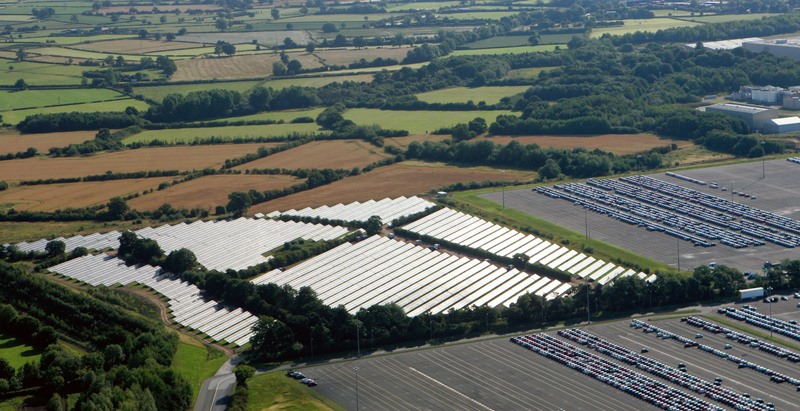 Last month, we brought you the news that Toyota had broken new ground with the installation of one of the UK’s largest solar panel ‘arrays’ at its Burnaston plant in Derbyshire. Now, the array – consisting of 17,000 panels covering an area the size of 4.3 football pitches – has been officially ‘switched on’ and is now supplying power to the plant. Enough power, in fact, to build 7,000 Auris, Auris Hybrid and Avensis models over the course of a year. This alone will save up to 2,000 tonnes of CO2 per year, but it doesn’t stop there – normal windows in the plant have been replaced by a wall of solar glass too, helping to save even more CO2. The project, a joint initiative between Toyota and British Gas, underlines Toyota’s excellent track record in environmental leadership. Burnaston, the home of Auris Hybrid, is one of just five Toyota plants worldwide to be granted Sustainable Plant status, meaning production facilities are designed to work in harmony with the local community and surrounding environment. 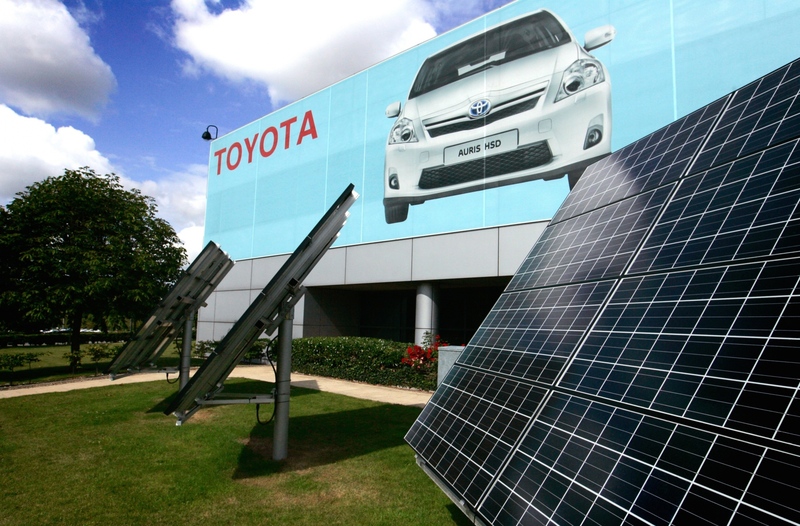 No wonder Toyota has been named the World’s Greenest Brand. Great initiative. 🙂 Hope its working out as you hoped. I’d love to see the power generation graphs for that array!